You know that feeling when you first unwrap or break the seal on the product and you just know you're going to have a vey happy bond together? Yep I have a few products that are just gems, changed my skincare routine for the better and never lets me down. This hot cloth cleanser is a firm beauty favourite for a reason, it's very gentle and refreshing to use. The thick creamy formula feels luxurious and replenishing on the skin and I really look forward to using it! This cleanser claims to effectively remove grime, makeup and leaves skin feeling soft and radiant. It contains cocoa butter and essential oils, chamomile and rosemary, which smells dreamy to use. I use around 2-3 pumps depending on how much makeup I have to remove and gently massage onto dry skin over my makeup. I love the creamy texture as it gently dissolves my makeup, I then use a muslin cloth rinsed in hot water and wipe over my face, it feels like a mini facial. I love how It leaves my skin soft, plump and glowy. It doesn't completely remove my waterproof mascara but I usually follow up with a separate eye makeup remover to get the job done. I have been using this for years since my student days when it was only £10 a pot, now even though it's £15 I still always repurchase it. This tiny pot contains the spot fighting ingredient salicylic acid and drastically calms angry spots, reduces redness and helps with healing them. It feels tingly on the skin, dries clear and you only need a tiny amount for it to work, otherwise it'll dry out your skin. I usually used this overnight, not under makeup as it can look a bit flaky. 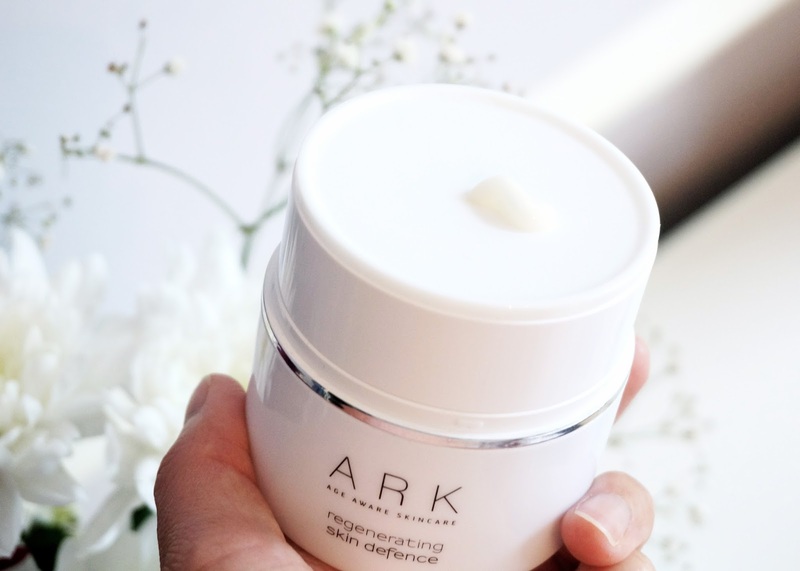 If you've read my previous beauty posts you know my love for ARK skincare - natural and effective. I was invited to an press event last month and was fortunate to receive their regenerating skin defence in the goody bag :) This serum is the mother of all serums for me, it contains vitamins and hyaluronic acid to reduce redness, increase firmness, hydration and also helps to repair and regenerate skin cells over time. The cream is not too heavy and sinks into your skin without a sticky or greasy film. I use this before a facial oil or night cream and it really locks in the moisture. It doesn't quite work for me to use if I'm wearing make up over it as it looks a bit patchy, but for no makeup days it's great. After using this product for over 4 weeks now, the results have been gradual but impressive. My skin feel firmer, looks more even especially around my cheek area and dark spots and pigmentation appear lighter. I used to use Indeed Labs pepta-bright but I feel this works much more effectively. I mean for the hefty price tag £70 (yikes!) I did expect a lot from this product and it delivers, it's definitely an investment product for your skin. Another big plus is the product design, you twist the top half of the pot and the product comes out of a small hole on the middle - hygienic and no product waste, genius. 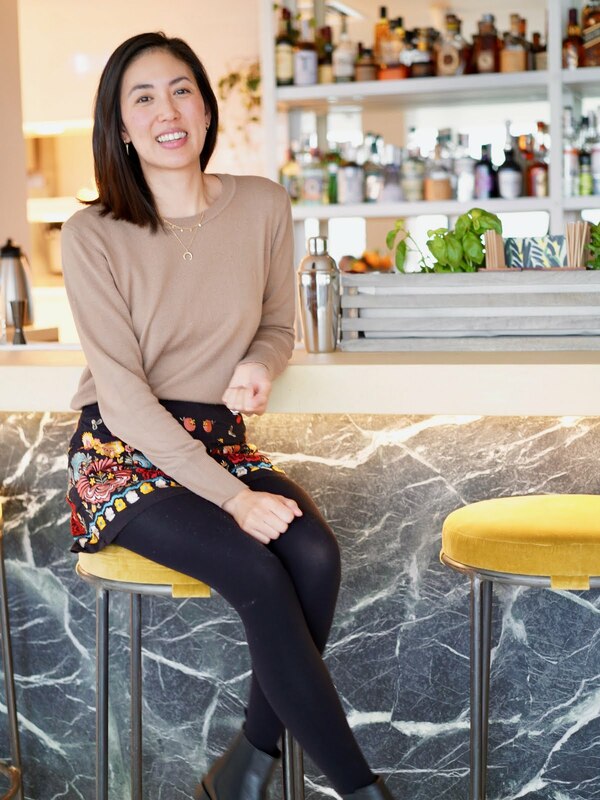 What are your fail safe beauty products? I really want to try the LE hot cloth cleanser as it is the original and best apparently! I've been really loving the thicker, creamier or balmier cleansers. I've used the Origins spot treatment in the past, and while it was effective, I didn't see it as worth repurchasing unfortunately! 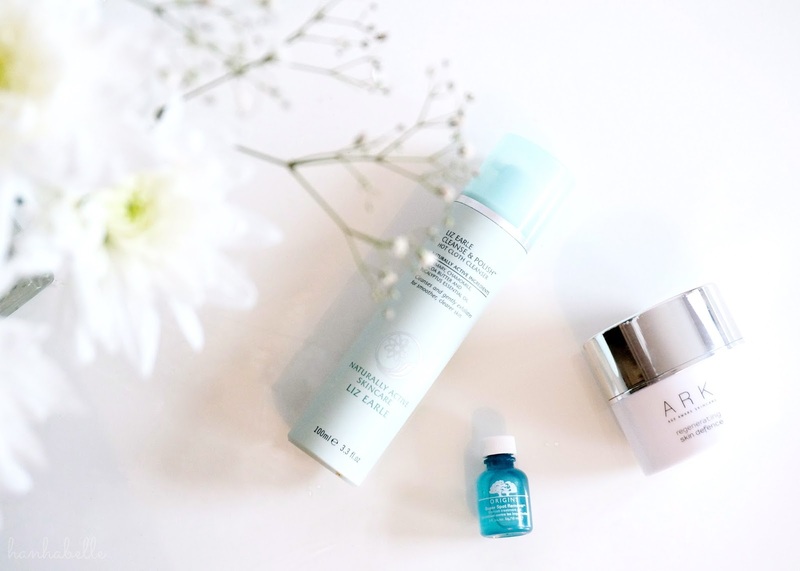 my skin is very picky when it comes to spot treatments, I'm glad it's working for you though! It's a lovely cleanser Tasha, worth a try :) It's really nice to use when the weather gets colder and you want extra nourishment on your skin too. I know what you mean, certain spot treatments work better than others I haven't found anything as good as the Origins one for me! Haha I like trying new things all the time too! I know that little bottle lasts for ages, I only use it when my skin is really bad as it can feel a little drying. It's free delivery on the Origins website Jade! If not i track it down at House of Fraser or large Boots! I know right, I always make sure I have a pot for a breakout emergency! I've been looking for a new spot treatment, might look into the Origins one! Only this year did I think to look for ingredients in "spot treatments" -- and I found a Neutrogena one very similar to the Origin one you mentioned. And yes thanks to the hefty % of salicylic acid it works WONDERS, every time. Why didn't I have this during my teenage years!? I used so many "home remedies" then and was so frustrated. -___- Sometimes I feel like I accumulate knowledge at a tragically slow rate lol. Ahh! That's it - I've seen this Liz Earl product way to many times and I've had to buy it. I can't wait! I hope it's as wonderful as people say. I know right, it works wonders. Haha I was so clueless about skincare in my teens, I was obsessed with the Johnson's Clean & Clear range but it just made my skin red and raw! They're both great products! The Origins product has served me well for so many years now. They do a larger 200ml one now! Liz Earle Cleanse & Polish was definitely a game changer for me as well. Every time I feel my bottle getting lighter, I think "maybe I should explore and try something else..." but no. I just don't want to. It's love. Liz Earle Cleanse & Polish has to be my the first cleanser I ever splurged on - and it was a darn good one. I still remember the lovely eucalyptus scent, lovely! You know I adore the Origins Super Spot Remover, but I've never heard of ARK skincare. What I first noticed was its genius packaging: air-tight and hygienic. The product itself sounds so good, looks like something my skin would appreciate greatly! Yes the LE cleanser is the original and best, although I like using oil based cleansers as well. I know right, the packaging is so clever - as I hate open tubs of creams!